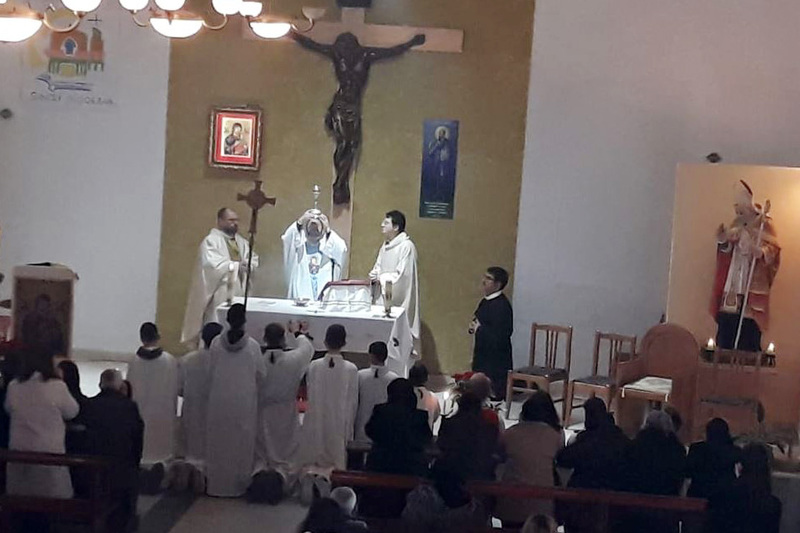 (Kamëz, Albania) The Albanian Mission witnessed a unique event where a Redemptorist missionary, for the first time, has renewed his vows in this country on 13th January 2019. The celebration took place on Sunday to commemorate the Baptism of the Lord, in the Parish of St. Alphonsus Maria de Liguori in Kamëz. Brother Álvaro Ortiz Jiménez de Cisneros is a theological student of the Province of Madrid, who has a year of pastoral experience in the interprovincial community of Albania. He is 27 years old and discovered his vocation when he was a university student and catechist in the Parish of Perpetual Help in Madrid. After the novitiate in Colombia, he completed his studies in Madrid. 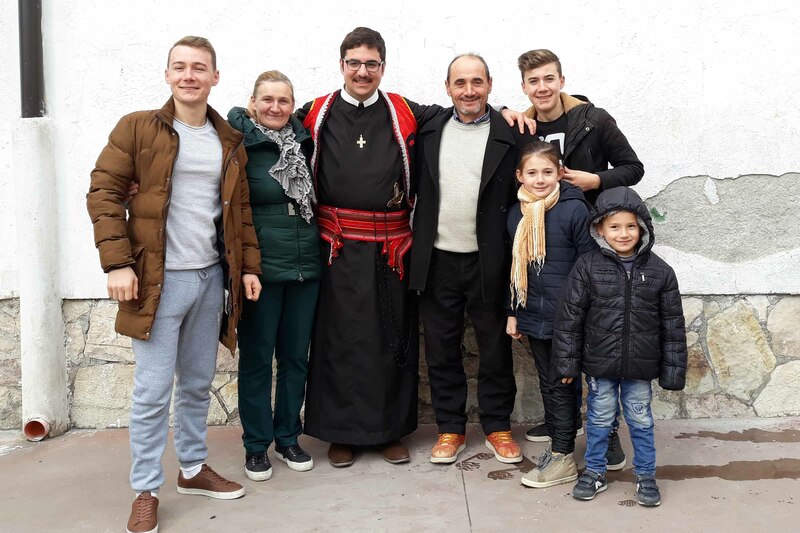 In the community of Albania, he is responsible for the Core group, that is, he forms and coordinates the young animators and catechists of the parish. He joined the interprovincial community of Kamëz on September 3, 2018, but in just a few months he can communicate in the Albanian language quite well. 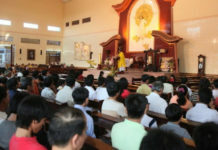 The Parish of Kamëz began approximately in 1996 when a Salesian missionary bought the old house of the communist culture to turn it into a Catholic Church. 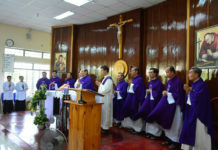 Since then, no such event has ever been held, so the act of renewal of vows, which took place within the Sunday Eucharist, was very grand for all. The parish priest spoke to the faithful about the meaning of the life of special consecration to God and invited the young people to respond with courage to the call of God. 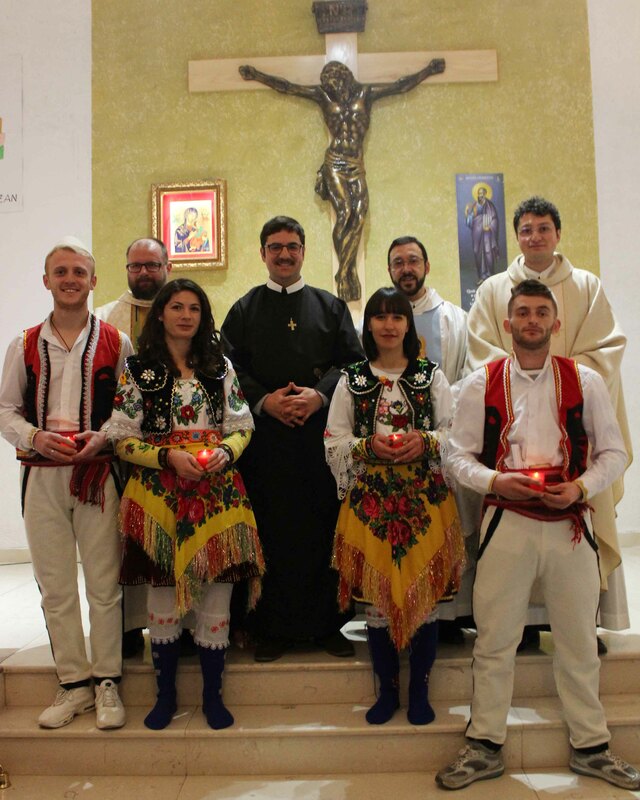 “I do not believe that in the largest parish in Albania there are no young people willing to respond to God in the missionary, religious and priestly life,” said the parish priest. 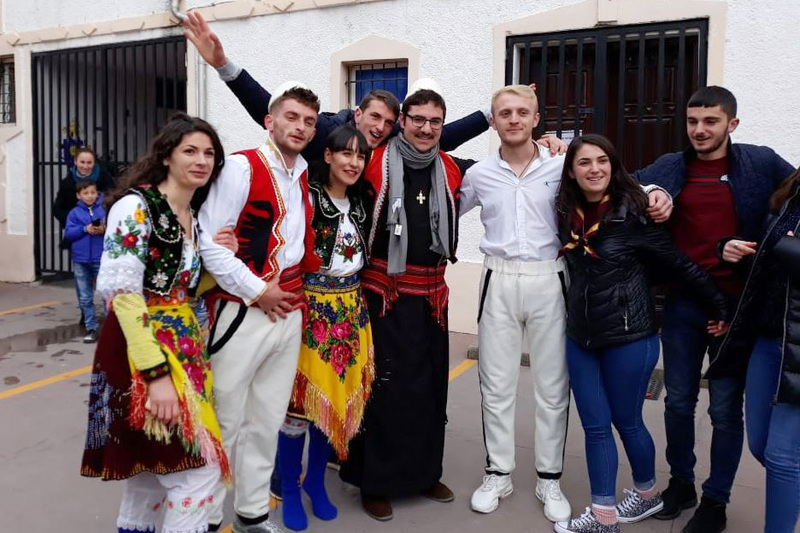 The young people accompanied Brother Álvaro in the entrance procession, some dressed in the traditional Albanian costume. Brother Álvaro renewed the vows before the community and the parish and received a missionary cross as a sign of his commitment to the Redemptorist charism. The Dances and gifts filled the Church with the colors of the Albanian culture. We hope and pray that Br. Álvaro will arrive at the altar of the Lord as ordained minister filled with the power of the Holy Spirit that filled Jesus on the day of Baptism in the Jordan River. We also ask God to send laborers to his harvest, especially to encourage vocations to the Redemptorist missionary life among the young people of this nation. Fr. Laureano Del Otero Sevillano, CSsR.